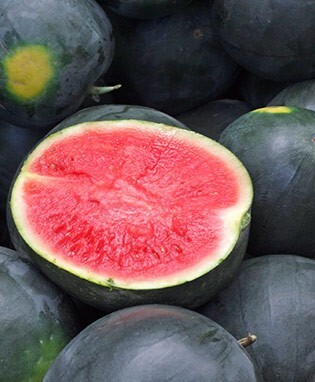 Black Diamond is one of the truly great watermelon varieties for both home gardeners and market growers. The rind of the fruit is a striated green, and the flesh is a delicious red. Black diamond routinely produces watermelons in the 50 pound range, but some can grow as large as 75 pounds! We highly recommend Black Diamond to rookie and veteran gardeners alike.